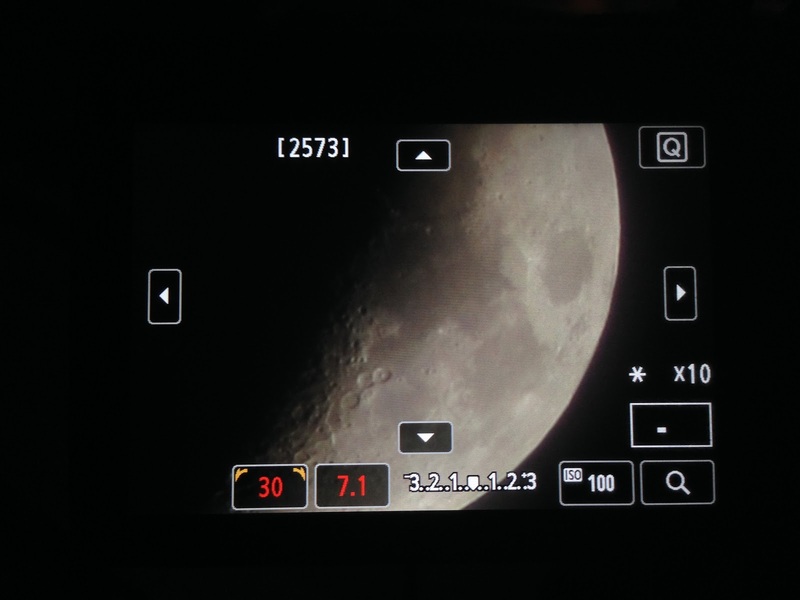 Anyway, while I was adjusting the camera and trying to focus on the moon through a thin veil of clouds, I noticed how useful my camera's live view feature is - especially when I used digital zoom to crop in an additional 10x magnification. I adjusted the focus manually after digital zooming, and it was surprisingly good considering I rarely manual focus on anything through the viewfinder. 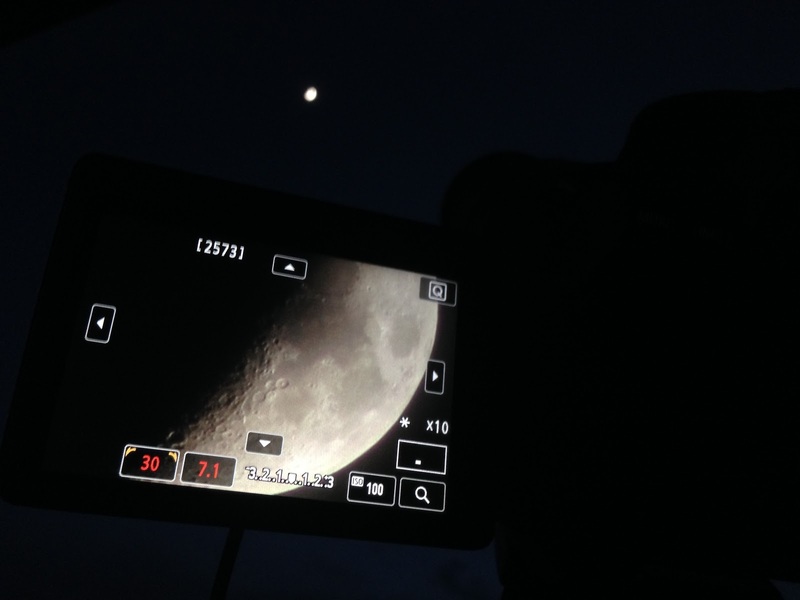 This live view observing technique might be useful at outreach events to the public - it's surprisingly clear with just a 300mm telephoto lens, and the large display screen makes it easier for multiple people to view at the same time - or for people who have difficulty looking through an eyepiece. Then again, there's something more authentic about looking down through an eyepiece that makes it more fun. 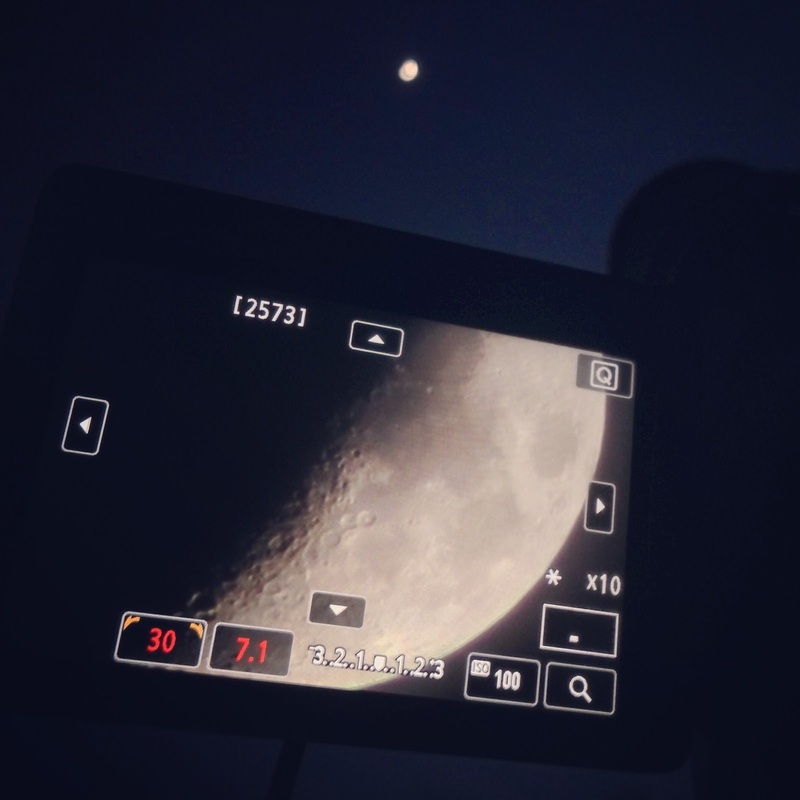 If I wanted to look at the moon on a screen I'd go online.